How bewitching does this installation of lights look from Japan? 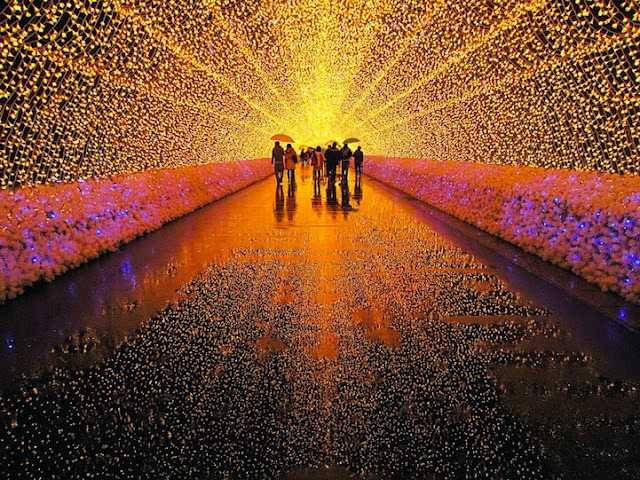 The stunning tunnel of twinkling LED lights (officially called Winter Illuminations) is on display now through March, 2013 on the island of Nagashima in Kuwana inside Nabana no Sato botanical garden. These photos create a powerful visual here, so I can only imagine how powerful it must be to see in person. 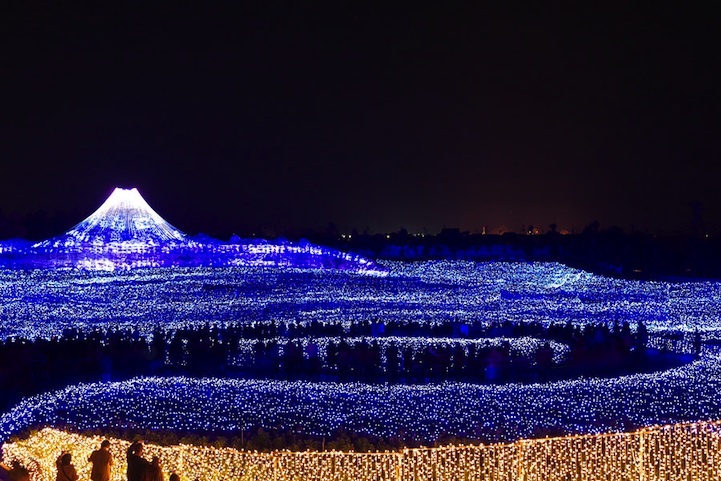 It looks like a magical wonderland and despite the amount of LED lights needed to create this masterpiece, it seems ethereal and light don't you think? 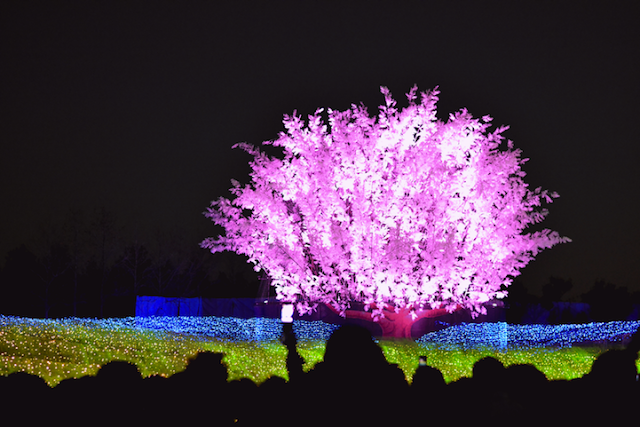 So, if you happen to live in Japan, or will be traveling there soon, please share your own photos! In the meantime, here are more photos here and you can read about it here. Nancy, it is GORGEOUS! I would love to walk through it. This looks incredible. I wish I could see it in person! WOW! 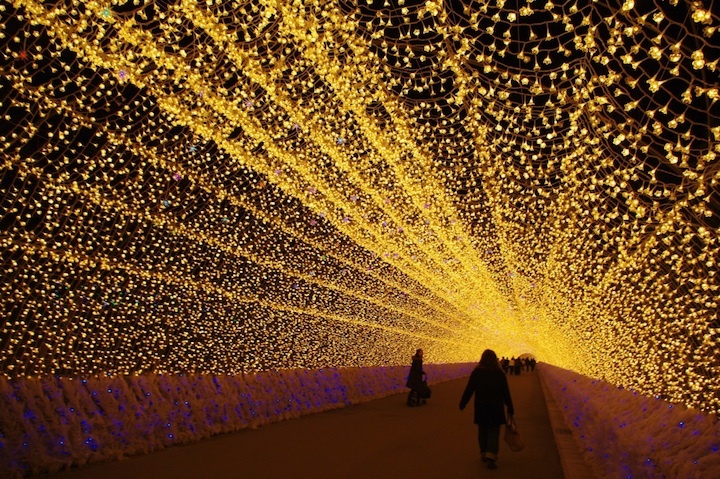 This is breathtaking, I would love to see this in person. That's unbelievable. I wish I could see it in person. WOW, this light festival is really AMAZING! And these pictures are just electrifying! Thanks for sharing! wow thats so amazing!!!!! xO! Wow, this is absolutely amazing! Wow, that is way too cool! 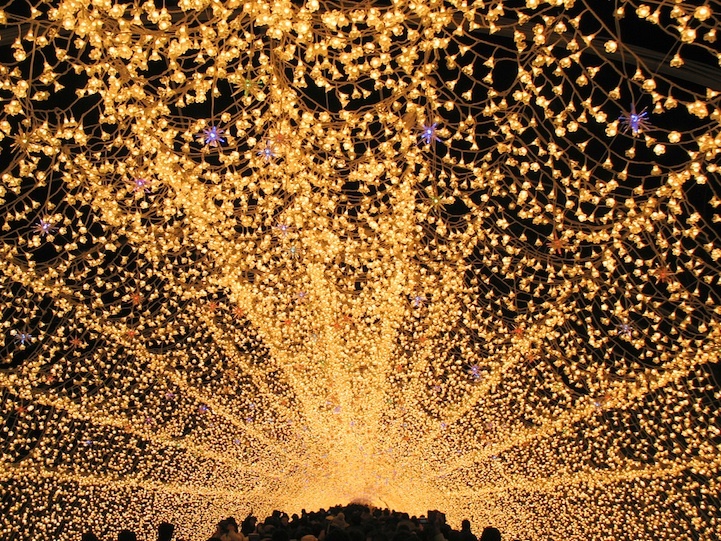 I have always found lights to be so magical. 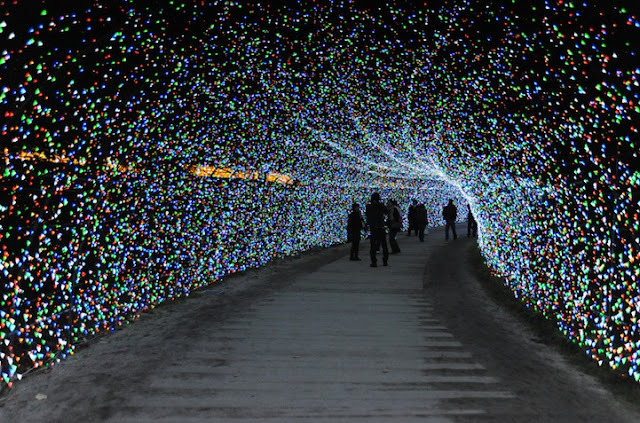 I would just love to visit this installation. Thank you so much for sharing.